Your Brain on Dope...and not the kind you think! Low dopamine levels look a lot like this polar bear: a general loss of your "get-up-and-go" attitude. Today, we're talking Dopamine: the Mac Daddy of focus, motivation and reward. This post is dedicated to those of you who can get lost in the endless cosmos of ideas. Yeah, I see you. Come down to Earth so we can introduce you to the first in a series of posts on brain health. So, let's zoom into our bodies, feet squarely planted so we can feel a little more grounded. (Maybe not quite as grounded as the polar bear above, but you get the drift). Let's take a deeper dive into dopamine, one of our neurotransmitters responsible for activating cognition, movement, pleasure seeking and reward. For those of you unfamiliar with neurotransmitters, think of them as chemical messengers relaying information around your body. And, since it's the start of a new school year, let's focus on how dopamine affects our ability to be present with our pursuits, academic or otherwise, and to be able to learn. Dopamine is directly linked to our emotional well being. Cognitively, dopamine is associated with the flow of information from different parts of our brains but primarily directed in the frontal lobes. Think of this as where the seat of our conscious, thinking mind is. This where our attention goes toward memory and problem solving. But dopamine is also responsible for our motivation and the positive sense of reward we get from certain actions. It's a kind of ninja mind tool, helping us to reinforce certain actions that we deem desirable, healthful or helpful. We can see, that because it helps with focus and attention, it enables us to not only start activities but to also finish them. Every time we check the box on our To-Do lists, we get a hit of "feel good" dopamine, letting us know that our actions resulted in accomplishment. And as you can probably guess, anyone concerned about achievement clearly wants to have dopamine working on their side! So what happens when we don't have optimal dopamine levels? Inadequate levels lead to a general loss of actions geared towards seeking enjoyment and pleasure. Self motivation, focus and managing day-to-day tasks goes out the window. This lack of efficiency in our lives starts a downward spiral that can lead to a sense of hopelessness and worthlessness. And you can imagine, that anyone feeling that, certainly is not going to want to socialize so isolation becomes a component to low levels as well. Ouch. This is beginning to sound an awful to like depression, and/or ADD, culturally stimulated or otherwise. Dopamine is directly linked to our emotional health so it serves us well to make sure we are working with it and not against it. So how the heck do we keep our brains running harmoniously with dopamine in our crew? There are numerous factors that can lead to low or insufficient dopamine levels so I'll only briefly mention that ones that are typically correlated to stress (since that is the primary focus of my coaching practice). In short, balanced blood sugar, iron, magnesium, B vitamins (specifically B6) and a strong population of healthy gut microbes all contribute to robust production of dopamine in the body. At it's backbone, dopamine requires phenylalanine in both it's D and L forms. This is an essential amino acid-- meaning our bodies can not synthesize it; we require it in our diets and it is predominantly found in animal based foods. That said, strict vegetarians or vegans may want to monitor themselves for symptoms of dopamine deficiency if they suspect they are not supplementing their diets adequately. However, since stress dampens our digestive capacity and can alter our ability to metabolize protein affectively, we can also see how this would set us up for insufficiency. If you're interested in a deeper dive as to neurotransmitters and the brain, I great book to read is Datis Kharrazian's Why Isn't My Brain Working?. Stress is the single most damaging factor to brain health. Lastly, I want to take a brief glimpse into how dopamine affects our psychology and sense of positivity in the present. I think this is so critical for those of us who struggle at school and are feeling like (1) they can't keep up or (2) that their peers are being more successful than they are. I would encourage you to be mindful of your perceptions and how they might be influencing your chemistry. I first learned about this from Shawn Achor's hilarious and information packed TED talk on positive psychology in the workplace. If you haven't watched it yet, it's a must see; you can watch it here. Shawn posits that if success is associated with happiness, then we are better able to succeed when we are already happy and in a positive state. He calls this the happiness advantage. In fact, our brains at positive "perform better than at negative, neutral, or stressed". In short, happy people are more successful at a accomplishment. He furthers that dopamine is directly involved because it contributes to our experience of pleasure (and happiness) and activates the learning centers in our brain. As Shawn suggests, "this allows us to adapt to the world in a different way". What he means is that if we can learn how to change the lens (i.e. : our perceptions) for how we view our worlds and how we get to "success", than we can change our sense of accomplishment and how we experience happiness in our lives. We'll be exploring these concepts further throughout this blog but for now, know that robust levels of dopamine will serve your concentration and overall efficiency for getting your many tasks and assignments completed. Did you like the video suggestion above? You can find out more about Shawn Achor here. Dark chocolate contains PEA or D,L Phenylethylamine, a compound that helps to boost dopamine levels in the brain. Next time you’re craving chocolate when you're doing homework, you'll know why! (Stick to 80% or darker to avoid unnecessary sugar in your diet). Did you enjoy this mind-body approach towards understanding motivation and accomplishment? Remember: mind and body exist on a continuum; a continuous feedback loop that keeps us balanced. One influences the other. 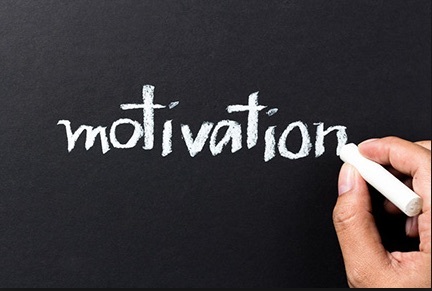 Please share in the comments below if you've ever suffered from low motivation or concentration and how you dealt with it. Or, if you gained any insights from this conversation!